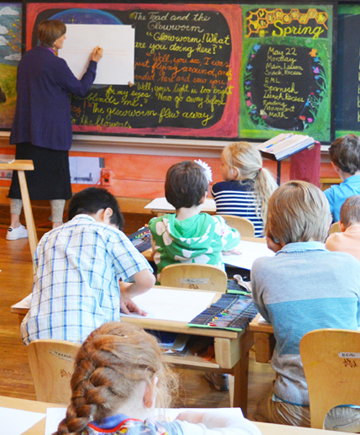 Our core values make the Waldorf School's classrooms and learning community unique in the Boston area. Discover why our students love to learn and parents give us 5 stars. 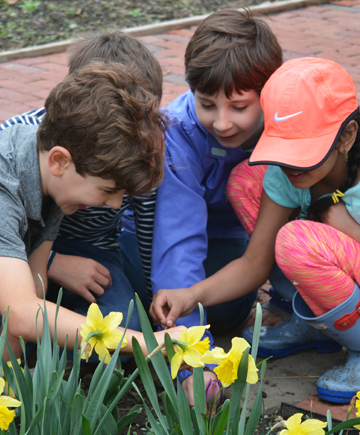 Many qualities define a Waldorf education, but at the Waldorf School of Lexington, we have distilled these seven values as fundamental. We believe in an unhurried childhood, where education is not a race or an outcome, but a personal process of discovery. 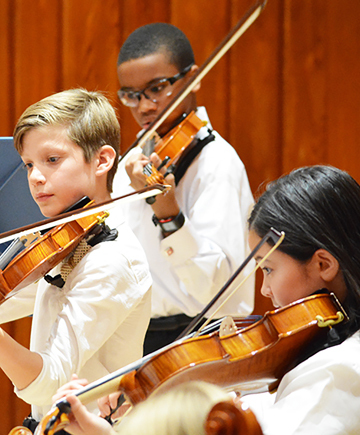 Our rigorous academic program teaches students to consider ideas from multiple angles, weigh conflicting information, and form their own conclusions. These skills are the foundation of complex problem-solving. Our students do not audition. Every student joins in class plays, chorus, orchestra, woodworking, movement, painting, and handwork. We value fresh air and outdoor play for children of all ages. Our classrooms are screen-free and our students thrive. Teachers emphasize story telling, hands-on experimentation, and other forms of sensory-rich learning. We shake hands, hold the door, and look people in the eye—human connections that our modern world needs. We believe that learning can be, and should be, a lively and joyful experience—one that lasts a lifetime. Visit us and learn more. There is nothing like a Waldorf education. And no time when it has been more important.